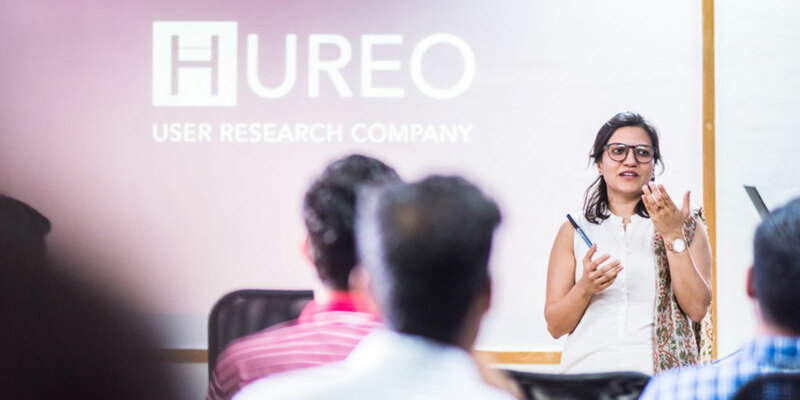 As a user experience research company, Hureo is about bringing to the fore the voice of the user. It has resulted in a team that is very people-centric with an enthusiasm for communities. When the possibility of building a community was discussed it seemed like the perfect thing to do as Hureo went forward as a company. Hureo Social was created to bring together designers, UXers, researchers, product managers, ethnographers, founders and CEOs. While there are many online groups available we wanted Hureo Social to be a place where people came together, interacted and made real connections. With all of these objectives in mind the event was planned meticulously and the word spread. The limited seats filled up faster than we expected. For this first event, Anjeli Singh, founder of Hureo, spoke about ”How to validate your product when you don’t have deep pockets”. The talk was engaging and informative, followed by a very interactive Q&A session. Most importantly there were lots of dialogue that happened after the Q&A session – designers spoke with researchers, product owners spoke with UXers, and UXers spoke with designers. The discussions went on for a long time as everyone enjoyed an enthusiastic social session over pizza. A lot of credit must also be given to Rapid Circle who powered our first event. The Managing Director of Rapid Circle Pune- Suyog Patki also joined in, sharing his entrepreneurial journey which was much appreciated. All of this means that Hureo Social will be happening very soon. Since the seats were limited because we thought it would be a small community, a lot of people missed out. The next Hureo Social will definitely be bigger.